The following interview comes to us from a research project by Isaac Graves that looks at community, education, and the relationship between community and education through the eyes of educators and community stakeholders. The words ‘community’ and ‘education’ are often invoked with the assumption of a shared definition, but even educators within the same community can have different definitions and views on what these words mean. This research projects seeks to understand the complexity of these words and the relationship between them by identifying both commonly held and divergent views on community and education through in-depth interviews. Most interviews follow an identical pattern of eleven questions, though some questions are occasionally omitted, modified, or added. The following interview is shared with you by both Bill Ayers and Isaac Graves. The content is copyrighted and republication is not allowed without written permission. To inquire about rights and permissions associated with this interview, as well as citation information, please contact Isaac Graves. 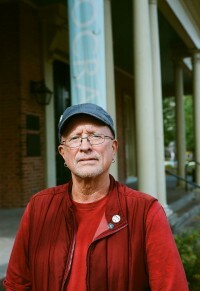 To find out more about Bill Ayers and his work, click here. Isaac Graves: What does community mean to you? Bill Ayers: Well, I guess “community,” like most compelling and layered terms, has a contested meaning, both in the world and within myself. I think when we say “community” and when we feel ourselves to be within the positive embrace of a community, we tend to think of community as loving and accepting, representing our perspectives and values, something inclusive and nourishing. But it’s important to recognize that every community is also a wall. And that means that only some are in the community, and many others are not—they dwell outside the community. When we get carried away with the loveliness of community as we imagine it, we can miss the fact that communities by their nature are exclusive; this is true even when we talk about the universal community or the ecstatic community or the beloved community or the human community—those constructions also cut out a good deal. So I think we should always be aware when we long for community, and most of us do, when we reach for others who are needed if we are to thrive as human beings, we should be aware of what we’re cutting out and ask ourselves if it’s appropriate and if it’s exactlywhere we want to live. IG: How does community play out in your life? BA: I live life in multiple communities and always have, and I think if we examine our lives more carefully, most of us do. Again it’s something we’re not always aware of. In our natural narcissism we may think that where I go my community is with me, but the fact is that we live in overlapping, sometimes excluding, groupings. For me without my family I would find myself bereft and lost—so that’s a very close-in community. I also have other communities. I have communities of resistance, I have communities of struggle, I have political communities. Starting in the middle 1960s I was drawn to and have lived off and on ever since in intentional communities—utopian communities. I was part of the commune movement in the 60’s, and I’m still a member of a community that has land in common in California where we raised our kids and now our grandkids. We share a lot, but we only share a lot for a few months a year. That’s a kind of community, but it doesn’t overlap with my political community in Chicago particularly. That community gives us a place to develop, a place to rest, a place to think, a place to work out ideas. And I think in the world of political thinking and political struggle sometimes “just us black people” or “just us women” or “just us queers” have to go into a room where we can be a community of a very self-defined specific type. But as soon as we go into that room we begin to recognize that the particular identity that forms that particular community is a fraction of who we are and if we can see that and recognize that we still might tactically need to be with a specific intentional community—but aware that that intentional community is a limitation as well as a liberation. It’s both. IG: What do you find most meaningful about community? BA: Well none of us lives as an island, none of us is all by oneself. And the more we develop that kind of narcissistic sense that’s it’s me alone, entirely self-sufficient and completely self-reliant, the more we lose in terms of the value of community. Because community is what brings us alive and what allows us to be both more enlightened and more free. I think of Fred Rogers who used to say on Mr. Rogers’ Neighborhood, his children’s television show, “Think about the people who loved you into being.” Well, I think communities do that, I think they love us into being. They can also be an illusion. They can also delude us. So one of the things that I guess I want to always be conscious of is the way in which a community not only has this dual aspect that I mentioned earlier, but also the ways in which any single community, any single identity is entangling. And if you inflame your identity, you know, “I’m queer,” “I’m white,” “I’m a male,” “I’m old,” whatever identity you’re representing – as soon as you inflame that you do damage to yourself. I think that for me the various communities that I’m a part of in various overlapping ways help me to negotiate and earn myidentity. It’s what allows me to strive to become more human. So that without my granddaughters on a weekly ba-sis, taking care of them, I would be missing a certain part of what is very central to my life. On the other hand I am now retired, I’m a grandfather, I do take care of my grandkids, but as soon as I say, “I’m a retired grandfather taking care of my grandkids,” automatically all of these socially-constructed assumptions descend upon me, those labels which are themselves so diminish-ing and limiting. So what I want to argue for is gaining from each community a piece of your humanity and a part of your personhood, and giving to each community as much as you can because it’s in giving to community that we realize the fullness of ourselves. And then, to return to the central contradiction, let’s not get stuck in kind of a totalizing community, an inflamed community or a dogmatic community. IG: What’s missing in community? BA: I could name some communities that I interacted with in the last few days and every one of them had and has its limitations. And every one also brought as-pects of what I live for. For example, yesterday I met with a community that’s in the process of creating an intentional space in Chicago where we can be much more productive and get on with the business of movement building. So does that community of place have love and ecstasy and joy and culture? Not exactly. But that’s something very important at the same time. The night before my partner for forty years and I hosted a birthday party for a very close friend; we brought food and flowers and homemade cards, and we formed a circle where we talked about our lives together. And there were maybe thirty or forty people there and we had a fire going. But that community brought a lot, but it didn’t bring the kind of intellectual stimulation that might be more apparent in another place. The day before that we had retreat of a political formation that I am a part of and we spent a lot of time on the question of access, not just for folks with disabilities but for folks with different languages and so on. That community brought a kind of challenge to me. So I could go on but you get the gist of what I’m saying. Living a life merges and creates intersections between communities and gives meaning to the fullness of your existence. BA: The phrase undermines itself. When we talk about community there is no ideal. Rather there’s a quest, a journey, something that’s much more about process than point-of-arrival. And as soon as we say something like my ideal community meets every Thursday at 4 o’clock we’re already going off the deep end; we then begin to codify and create a dogmatic response to the desire for community. It’s the most human thing in the world to long for community, and I think the ideal community is in that longing. But too often we settle for institutions. It’s the desire for community that keeps us putting one foot in front of the other and keeps us moving down the path more than the idea that you could actually define the shape of it once and for all. I think that the draw of our workplaces and classrooms, the draw of our churches and synagogues and mosques – the draw of all these things is that desire for community. What we end up finding in those places is too often a fraction of what we were longing for and we end up getting a lot that’s not worthy of our deepest dreams for community. BA: A democratic education is an education based firmly in the culture of democ-racy, which is a radical proposition. A fragile but precious ideal powering every authentic democracy is the belief that every human being is of incalculable value. That ideal too-often runs hard against the institution of schooling in which value is constantly being calculated, the value of this person and that person is constantly being parsed and sorted. A democratic education begins with the premise that everyone is of incalculable value. We are equal in rights, and we are each an unruly spark of meanin-making energy. And it moves from there to a belief that the fullest development of each of us is the condition for the full development of all of us. And the reverse is true as well: the fullest development of all of us is the condition for the full development of each of us. And those things have huge implications for policy for establishing equality and justice in schools and society. If you assume the incalculable value of every human being then you have to think that curriculum is much more about initiative, courage, imagination, entrepreneurship, and much less about obedience and conformity. It’s much more about opening windows and opening doors and learning from the world, not so much learning about the world—learning from nature not about nature, learning from democracy not about democracy. Democracy and education are the same; freedom and education are the same. This is beacause education at its best stands on two legs: one leg is enlightenment, and one leg is liberation. They work together: we want to know more, we want to explore more and experiment more and under-stand more because we want to do more. And it’s those interactions that make democratic education a reality. I resist the notion that education is strictly a K-12 or K-16 affair. I reject the idea that education is for the young and that therefore a preparation for real life. I think education is life itself, and education for democracy is the art of living and growing. BA: I have devoted most of my life to education in a formal sense. I’ve been a teacher or as I prefer to say I’ve been a person who’s been experimenting with and trying to become a teacher. I always tell my students that “teacher” is a word they can put on their tombstones, but until then we are all simply working away at it. For me a teacher in a democratic society—even an aspirationally democratic world—is of necessity a learner, and the fundamental challenge of teaching is to become a student of your students. And I think of education as something more than formal schooling—it goes on 24/7 inside and outside, in the community and in our daily interactions. So one of my most astute teachers these days is my three-year-old granddaughter and her six-year-old sister and they teach me all the time and some of it is silly and funny and memorable, and some of it is profound and life altering. Yesterday my three-year-old granddaughter came into the room with a book behind her back and she said, “Guess what I have.” And I said, “Is it A Birthday for Frances?” and she pulled it out very triumphantly and said, “It’s your favorite.” And what cracked me up because I think of it as her favorite, but she thinks of it as my favorite. And somehow we negotiate this space where we are in cahoots but I think it’s marvelous that her perspective is that she’s doing something for me by bringing me a book that I love that I can read to her… If you strive for a certain wide-awakeness, you’ll be awakened every day by something. BA: I have spent a lot of my life in the last couple of decades fighting for the right of urban kids to have access and equity and increasingly to have recognition of their humanity in the schools, and it’s been a difficult battle characterized by the trumpeting of a narrow concept of education for the masses of the people while the wealthy and the powerful and the people promoting corporate school reform are demanding for their own kids all kinds of other experiences and opportunities. So it’s a difficult time right now, but we must remind ourselves that education and school reform and urban education are necessarily contested spaces and any time you feel like “Oh, we’ve lost and we must get in to the bunkers and barricade ourselves,” you’re making a huge mistake. We need to see this as a moment when the goals and values of education are very much contested, and we leave the field at our peril—we should stand up with great confidence and articulate a different frame on the question of education than the one being foisted on us by the powerful in politics and from influential foundations and the media. I can give you one very simple example which is familiar to all of us in the recent presidential campaign. Every time John McCain got to a microphone and said, “We need to get the lazy incompetent teachers out of the classroom,” I felt myself nodding dully as did millions of other people. Who’s going to stand up and say, “No no I want the lazy incompetent teacher for my granddaughter.” Nobody. He wins the argument by framing it. If I got to the microphone first and said, “Every kid in a public school deserves an intellectually grounded, morally committed, compassionate, caring and energetic, well-rested and well-paid teacher” I would win the argument. So part of our problem is how are we framing and re-framing the discussion about education today. How are we thinking about it? Then how are we not being bamboozled into accepting a frame that is unacceptable up to and including measuring our success by these silly and backwards test scores. So my encouragement for myself and the reward to myself is to keep fighting and the reason to keep fighting with confidence is because it is contested space, because we are living in a dynamic history and the more noisy and shrill and over-powering the folks seem who are defining the agenda on education the more we should recognize the weakness of their case. I don’t think they represent the majority in any sense at all, and I think that we should fight for a robust public space in a more vibrant and participatory democracy. I’m not optimistic because I can’t see the future, but neither am I pessimistic—again because I can’t see the future. Rather I want to promote a politics of hopefulness and confidence, and get people out there speaking up and speaking out so that we don’t barricade ourselves in either a defensive posture or a self-righteous posture. IG: What is missing in education? BA: I want from education based on the full recognition of the humanity of every-one who walks through the door. And that means that the questions, the problems, and the contradictions kids bring into the classroom would become the stuff of education. So every kid from the moment that they’re born is powered forth with questions and confusion and uncertainty. And education is a place – education is the place – formally and informally where we can search for answers. So if you think about the teacher. I was a young teacher during the Freedom Schools that swept the South in the mid and late 60’s and those schools were powered by questions. The curriculum of the Freedom Schools was a curriculum of questioning. And the questions were profound. “Why are you and I in the Freedom movement?” “What do we hope to accomplish?” “What do we want to maintain that we have?” “What do we want to have that the majority culture has?” On and on and on, a curriculum of questioning. And those were serious, profound, life-changing questions because they allowed people who were beaten down and stepped on and pushed to the bottom to ask the big questions of their lives. “How did I get here?” “Where am I going?” “Where do I want to go?” Those are the questions that ought to power all education and I can parse that out in tiny as well as in giant ways, but that’s what’s largely missing. Kids are denied, people are denied the right to think for ourselves about the circumstances of our lives and how they could be different. That’s what an education for freedom is all about. IG: What is an ideal education to you? BA: Well again I’m going to have to trouble the question because “ideal” is both worth striving for but wildly indistinct—I don’t want to diagram a set of iron clad orthodoxies. I want to think about education as always responding to the reality before us, and always a process and a quest and a journey, always dynamic and growing. But the contours of that dynamism have everything to do with being able to develop the capacity to ask questions of the universe and that means good teachers and good friends and good lovers are folks who help us formulate and develop and encourage the questions that will make our lives deeper, more meaningful, richer, and more open. This entry was posted on Saturday, December 28th, 2013 at 12:50 pm and is filed under Uncategorized. You can follow any responses to this entry through the RSS 2.0 feed. Both comments and pings are currently closed.